I don’t always have a week’s worth of meals planned out in advance. Sometimes I get so immersed in work that I forget I have to put a meal on the table at the end of the day. Recently I have been treating those unplanned days as opportunities to improvise with what I have available. Wednesday was one of those days. A quick survey of the Deep Storage Facility and the fridge turned up frozen lamb rib and loin chops, chicken stock, fava beans, and large-grained couscous. Thanks to recent research by Harold McGee, I was able to thaw out the chops quickly. While they came up to temperature I scrounged up a few more ingredients: mint, pomegranate juice, pomegranate vinegar, and harissa. 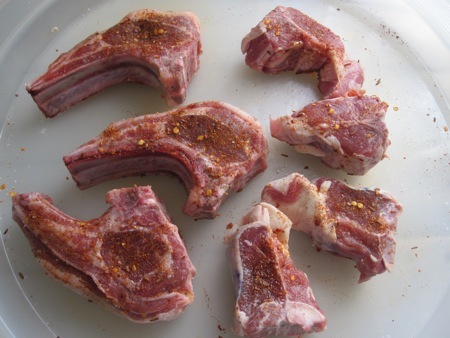 I rubbed the chops with harissa and salt, and let them marinate while I boiled the stock and started the couscous. I poured the pomegranate juice into a pan and boiled it to reduce, tossing in a few mint sprigs to infuse their flavor. I blanched and peeled the favas, then chiffonaded some more mint. 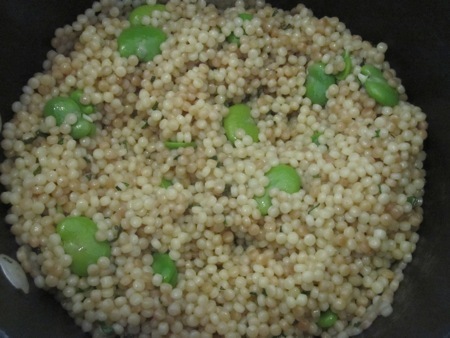 When the couscous was al dente, I tossed in the mint and favas and kept the mixture warm while I heated up a grill pan. 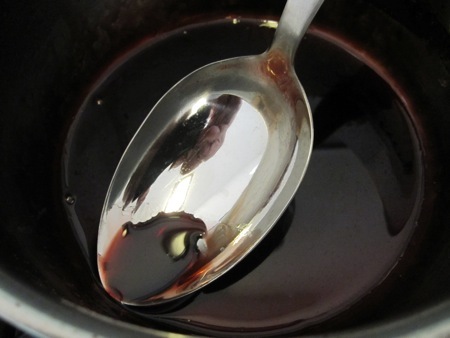 I grilled the chops, then removed the mint sprigs from the pomegranate reduction, correcting the acid balance with a splash of the pomegranate vinegar. 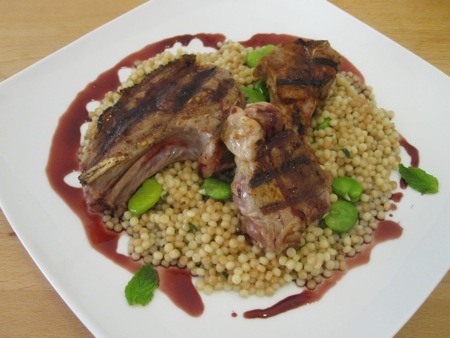 As the chops rested, I loosened the couscous with a splash of lemon-infused olive oil. Plating was simple: chops on top of the couscous, pomegranate syrup drizzled around the outside, and a few baby mint leaves for garnish. Lamb, Pomegranate, and mint is a classic combination, but the addition of the harissa made the whole dish pop. I had been thinking about these flavors for a while, so this dish served as a dress rehearsal for something a bit more ambitious: butterflied boneless lamb leg, rubbed with harissa and cooked sous vide, then finished on the grill. I’ll let you know how that turns out. This entry was posted in design and tagged cooking, food. Bookmark the permalink.